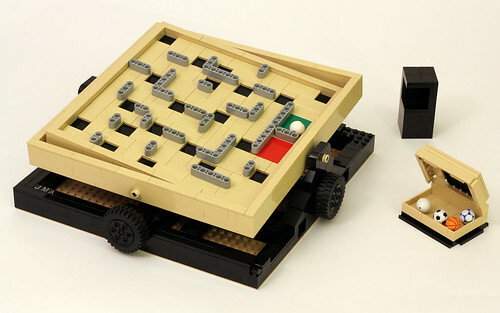 With the upcoming release of the highly anticipated LEGO Ideas Maze set, we're honored to have been able to talk with Jason Allemann about his LEGO Ideas project - the Labyrinth Marble Maze. Jason is a well known LEGO builder, especially when it comes to functioning models. 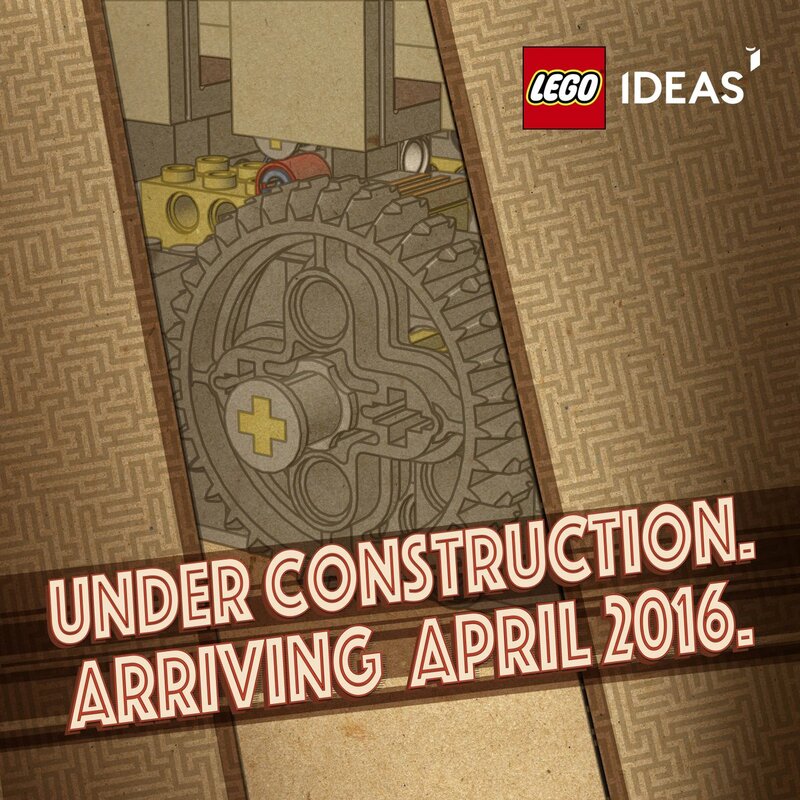 He's dedicated a section of his website, jkbrickworks.com, to the LEGO Ideas Maze where he'll be posting more content about the new set after its released. Jason also has an active YouTube channel JK Brickworks where he gets into greater detail about many of the models that he creates. Would you like to tell us a little bit about yourself? I'm 43 years old, an engineer by education, and software developer by trade. I fell in love with LEGO when I was a child, and I was especially fond of the early Technic sets. I've been designing my own models as an adult on and off for the last 15 years or so, and really enjoy sharing them with the community, both online and in person at various events. I am also an avid rock climber, and you can often find me at the top of a mountain in the summer months. What inspired you to build a LEGO Labyrinth? 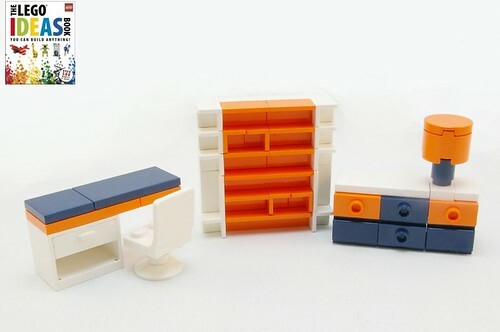 Surprisingly, it was some furniture my friend, and fellow LEGO builder, Deborah Higdon designed. When I saw this bookshelf she had built the first thing that came to my mind was that you could build a maze using those panel pieces. I quickly started prototyping some small mazes using that technique. It didn't take long before I was designing the Labyrinth maze that eventually became my Ideas project. When designing the labyrinth, what parts were the most challenging? The most challenging part was definitely the control mechanism. I went through a few prototypes, including Technic gear trains and string systems, until I settled on the control rods built using Technic beams that is in the final model. I also spent some time trying to work out a way for the ball to fall through the maze surface, but in the end it just increased the complexity too much. Can you tell us about the design process for the tilt mechanisms? It was pretty straight forward what the deck was going to look like, which is a standard 2-axis gimbal, just like in the original wooden versions of the game. So then it was just a matter of figuring out how to control it. This is where I resorted to my tried and true design methodology: trial and error. I just started prototyping different control mechanisms until I found one that gave me the results I wanted. What made you decide to put your project on LEGO Ideas? What helped you in getting the word out about your project? Initially it received some favorable coverage from a few of the popular LEGO blogs, which helped it come out of the gate running, so to speak. I spread the word as much as I could through the various LEGO forums as well. I tried to find some gaming communities to help drum up support, but as you can imagine, there isn't a huge 'traditional games' online community to tap into. At some point I also designed another themed maze for it, which I think helped to remind people that it existed, and also exposed it to people that might have missed it when it was first posted. When your project passed 10,000 votes, did you expect your idea to pass the LEGO review? Not at all to be honest. I thought it would be way too niche of an idea to actually be accepted. I was really surprised, and obviously super excited, when I heard the news. Lastly, do you have some tips you could share for those who may want to create their own LEGO Ideas projects? That's a good question, and one I don't really have a good answer to. There are thousands of projects on LEGO Ideas, and only a small fraction of them ever reach 10,000 supporters, let alone get accepted to become sets. There doesn't seem to be a magic formula for achieving success, especially since once a project enters the review process you have no idea what metrics the LEGO Group use to evaluate it. I guess my biggest tip would just be to not take it too seriously. Design a project for yourself first, and have fun with it. That way, no matter what happens on Ideas, you will have something that you are proud of. Thanks for taking the time to give us some of your insight and to explain some of the design process of your Ideas project, Jason! We'll be looking forward to your follow-up posts when the set becomes available!